The Sabbath rest is one of the most rewarding gifts we’ve been given. If God needed to rest after 6 days of creating the world and everything in it, then I can follow in His example. Too many times though, we overlook this gift of rest that is built into the rhythm of abundant life offered to us by God. Is there Purpose in our Busyness? If I am busy, that means I am important. If I am important, that means I have value. If I have value, that means I will be loved. But if I am not busy does that mean I no longer have worth or am loved or have value or am important? I think if we’re honest, filling up the moments of our lives with stimulation, busyness, going from one place to the next, seeing one post to the next, and driving with one hand on the wheel while we eat fast food in the other and check our social media accounts on the way to another meeting is a normal part of some of our worlds. What’s the true benefit of working overtime again and again, striving to get more so we can continue to be encaged in the hamster wheel of running faster and faster to nowhere? At the end of our lives, will we be satisfied? I am not saying that we can’t fill our schedules up or that if we do have full schedules it means something is wrong. What I am saying is as we enter toward the end of this year, let’s take a step back to re-evaluate our commitments to make sure that what we are intentionally investing our time into are things that we are born for, are building the Kingdom of God, and life-giving. As we dive into the new year, we must be able to choose the good over the best and let go of the silver to embrace the gold. Too many times it’s those good things that fill up all the space in our lives, leaving no room for the best to enter in. Until we are courageous and willing to let go, that is. This summer I learned a very important lesson on rest. I decided to take a small sabbatical time of rest and refreshing in Maui after running hard for 6 years with Destiny House and entering into our 7th year. While there, I felt like God was inviting me to extend my time on the island more than once. The first extension was easier to say yes to. But then when I had to decide in the second month whether to stay yet another month, I struggled. 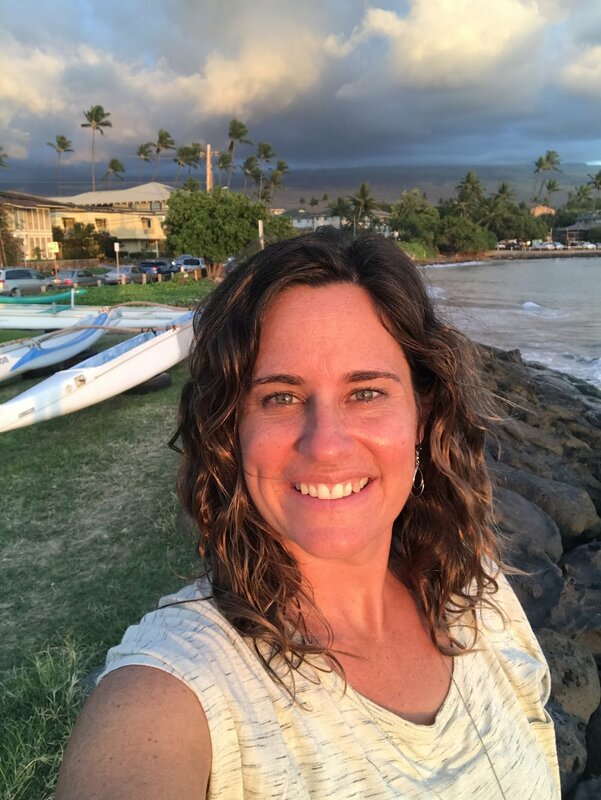 I had to decide whether to come back to the mainland in October to teach at multiple schools of ministry and other obligations or stay another month in Maui, extending my time of rest, surf, play, and to be refreshed for a women’s conference in Virginia in November that I felt was significant. I didn’t want to let down all the people I had committed to. Would they think I am a flake? Would they think I am irresponsible? I am a person of my word and I felt I would be letting so many people down. I still hadn’t secured housing for my time on the mainland so I would have had to sleep on a couch for a month all the while doors kept opening for me to stay longer in Maui. Would I do what I felt I should do or would I follow the leading of the Holy Spirit and give my soul the attention it needed? If I knew I wouldn’t let anyone down and they would understand me caring for my soul, if I trusted that God would provide for me still, what would I choose? The real question I needed answered was what was God saying in the midst of all this noise in my head and what season did He have me in? I knew deep down that I wasn’t ready to return and dive back into full time ministry and teaching. I knew that my heart still needed more restoration and rest. I knew that being at the beach and surfing the waves is one of the gifts God put in my life that helps restore my soul. I wondered what it would look like to enter into the clear yes in my spirit of the Virginia trip in November fully rested and ready to go rather than worn out and tired from running around doing good things that I really do love but that didn’t fit the extended season of rest God was inviting me into. I knew what my heart needed but still battled with what other people would think and how they would view me. I didn't want to let people down. I also felt like this decision would be a turning point for the next 40 years and next era of my life, shifting me from what I’ve know and always done into the spirit of pioneering and stepping out of the boat like Peter did to walk into the unknown. The fact that I was presented with these decisions at the same time and in the midst of filming the Walking on Water Encounter E-course there on Maui and getting ready to launch The School of Pioneering Revival is not an accident. These are all about stepping out of the boat to be closer to Jesus at all costs. Staying in Maui another month would be me letting go of what had been familiar ad stepping out of the boat. It would mean going off of the map into the unplanned, and into a completely different direction. Because I believe there is safety in walking with the family of God and not off on my own in isolation, I invited a significant spiritual mother and spiritual father into this decision making process. They both readily and quickly confirmed my decision to stay and felt the Lord on it. This was a huge gift of safety and strength in making this shift. Then I did something I rarely ever do. I called to share my heart and cancel all of my engagements for the month of October on the mainland. I was able to give some of these opportunities away to other friends so they could be blessed by them. I let go and trusted I heard God. I chose to make space for what my heart needed to enter more fully into this season of rest God was giving me. I extended my time in Maui for the sole reason of resting. 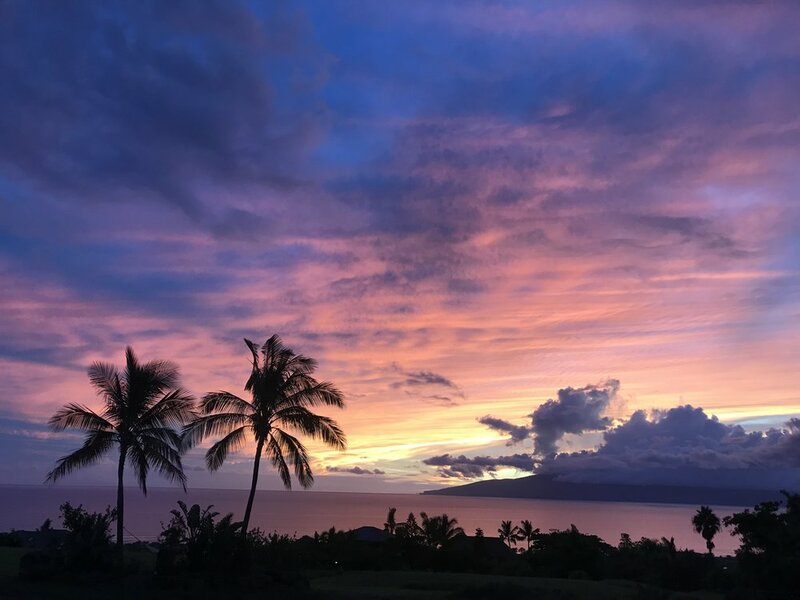 When the time in Maui was complete and I finally did come back to the mainland to go to the Women’s Abide conference in Virginia in early November, God moved in great power and touched many lives in a significant way. God even blessed me financially. Triple the number of Writing in the Glory attendees signed up and my books all sold out, releasing continued revival fire even after I had come and gone. I even extended my trip another week to hold a few more revival meetings. To read some crazy testimonies of what God did there, see Acts of the Holy Ghost in Charlottesville, Virginia. All that to say, when God invites us into a season of rest, we can trust that He will take care of us and all of the details. There’s no way I could have lived 3 months in Maui without God providing the body of Christ to welcome me in. So many beautiful saints poured out hospitality again and again for which I will forever be grateful for. My prayer is that my recent journey deeper into God’s heart through rest would be a prophetic encouragement for you to embrace the Sabbath gift of rest God wants to give you today. What would it look to steward rest in the midst of this busy holiday season? What would it look like to not run around trying to please everyone with extravagant gifts but instead slow down and give people the gift of our presence? 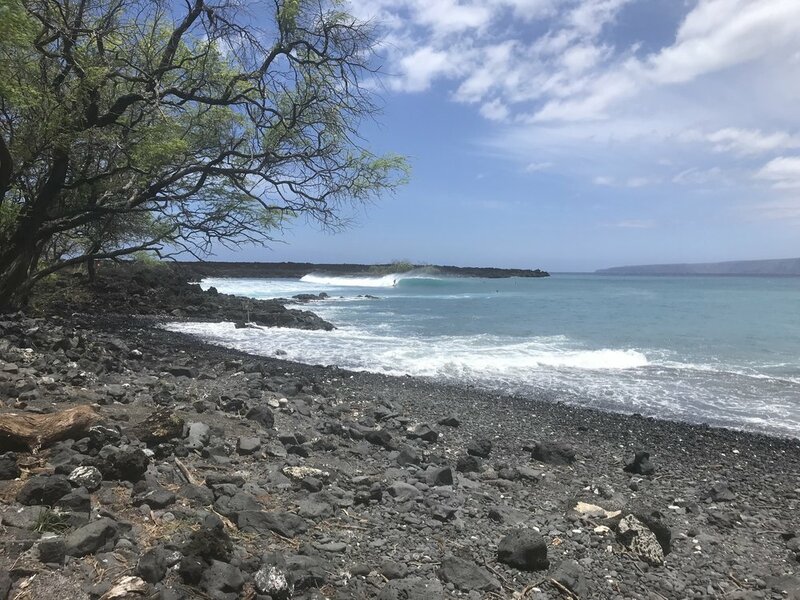 Now I know not everyone has the freedom to be able to stay in Maui for months, but we do all have 10 minutes each day or even once a week where we can get alone with God to encounter His love. What would happen if today we STOPPED everything and spent 10 minutes in pure silence waiting upon God? I will warn you right now, to get 10 minutes of absolute silence and focused engagement on God, to be fully present with Him alone, you will may to fight a million battles. So many distractions will try to come against you. But this ONE THING I ask of the Lord, King David says in Psalm 27:4, is “that I might dwell in the house of the Lord all the days of my life, to gaze upon the beauty of the Lord and to seek Him in His temple.” And the more you practice cultivating space to listen and be present for God to move in your life, the easier it gets. So I pray that as you begin to build this beautiful gift of stewarding rest into your life, that God’s grace would be upon you and that He would give you rest. Rest for your souls. He is waiting with open arms for you to enter into the Secret Place with Him and to remind you that JESUS is truly the reason for this season. May we never let busyness distract us from this simple truth. May His stillness go deep into your heart and permeate you with His rest for your soul. In retrospect from my time in Maui, I am now realizing the significance of making these crucial decisions all the while of filming my Walking on Water Encounter E-course in Maui and getting ready to launch my online school and dream come true, The School of Pioneering Revival. If I am not able to step out of the boat and follow the leading of the Spirit into the unknown and trust in Him, then how can I encourage others to step out of the boat? To experience some of the fruit of my time in Maui, I want to invite you to watch a 10 minute video of me sharing more about The Secret Place and Cultivating a lifestyle of Intimacy with Jesus in the first session of the Walking on Water E-course. There is a free preview once you register here or feel free to sign up for the whole Encounter Course to unlock a season of intimacy and destiny. Blessings and Mahalo and a huge thanks to the Maui tribe for loving and taking me in!